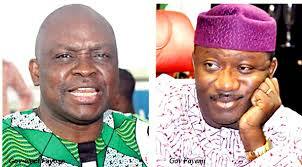 The Ekiti State Government is planning to constitute a panel to investigate allegations by the Peoples Democratic Party that the former Governor of the state, Kayode Fayemi, diverted N4.1billion belonging to workers of the state. Although the All Progressives Congress in the state and Mr. Fayemi have refused to respond to the allegations, the PDP-led government said it was prepared to ensure details of the fraud were brought to light. The Chief Press Secretary to Ekiti State Governor, Idowu Adelusi, told Premium Times on Monday that the government took the allegation seriously given the hash economic realities before the state. “We cannot allow this to go without proper investigation. A probe panel will be constituted to investigate the matter and ensure that funds belonging to the state are recovered,” he said. Mr. Adelusi said Mr. Fayemi’s administration committed the state to debts of huge sums of money for which the state is now suffering. “If the last administration had not committed the state in loans received from the capital market and commercial banks, what we are getting as federal allocation should have been enough to pay salaries of workers,” he said. He said Ekiti State was repaying a combined debt of N56billion which is being deducted from its allocation on a monthly basis. Mr. Adelusi did not say when the panel would be constituted, but assured that it would not be long before the investigation would commence.